With the Shadowrun Missions Online venue players can quickly find and sign up for official Shadowrun: Missions games being run by official Catalyst Demo Team agents. Experiencing the persistent these persistent campaign worlds made by Catalyst Game Labs has never been easier. Plus, you get to earn karma toward characters that can carry over to conventions and other venues! However, before you can have fun with players from all over the world… you have to sign up for some games! You’ll need to be logged-in to the Shadowcasters Network website in order to sign up for games. If you don’t have an account, you can get one by following the instructions here. If you have an account already, simply click the “Log In” button at the top of the page, and enter your username and password. In the menu bar at the top of the page select “SRM ONLINE” and then “EVENTS LISTING” to be taken to a page with all the upcoming events that have been created by our GMs. The events are grouped by month, and are listed in chronological order. On the listing you can see the name of the mission, how many spots remain available for that game, and which of our GMs is running that game. For more information about the mission, and any details the particular GM may have included, you can click on the name of the mission to open a page with more details (including the username of any players already signed up for that event). Once you’ve decided on which game you’re going to sign up for, click on the name of the mission to be taken to the details page where the sign-up button is located. NOTE: All games are listed in Eastern US Timezone. We have included a link at the top of the Events page to a handy Timezone Converter if you would like to see what the time is in your local timezone! On the details page for the game you’ve selected will be a button that says “Sign Up”. Click that button, and your name will be put on the booking for that game. You’ll make sure you want to be prepared for the game when the time comes. The listed time on the Event is when the game STARTS. It’s a good idea to be logged into the Roll20 table and the Discord channel 10 or 15 minutes prior to the start time. This helps out you GM who will be working very hard to make sure everything starts and runs smoothly for you by making sure technology works correctly and troubleshooting any problems you might have. If you don’t already have a missions-legal character, then you’ll want to make sure that you make one! Check out the Official Shadowrun Missions FAQ for details about character creation and how it differs in Shadowrun Missions games. NOTE: Any character you’ve played in Shadowrun Missions before is legal for our games as well. You do NOT have to create a new character to play in our games. As long as your character has been used exclusively for Shadowrun Missions play, then it is perfectly legal for our games. All of our voice communication is done over Discord using our Shadowcasters Network Discord Server. If you have not yet joined our Discord, then you can do so by going to this page and clicking on the big troll-horned Discord logo. If you want more details about how to sign up on our Discord server and how to find our Shadowrun Missions Online voice channels, then you can check out our guide for Getting Connected on Discord. While the voice communication is done on Discord, the game is coordinated by our GMs on a web-based virtual tabletop using Roll20.net. This is a very popular, reliable, and free virtual tabletop which makes sharing Missions content and rolling dice as easy as can be. If you do not have a Roll20 account, then you will want to go ahead and make one. Having an account already will make joining the game on the day of your event faster and smoother. Step 6: Show Up and Play! On the day of your event be sure log on to the Shadowcasters Network Discord Server and join the Shadowrun Missions Online chat channel. There is a text chat channel and voice chat channel. Make sure you are in both of these. This is the primary means of communication between the players and the GM. Your GM will be here coordinating the games and the game setup. Once you are in the Discord, the GM of your game event will share with you a link to the Roll20 virtual tabletop which you will be using for this game. Clicking on the link in the Discord chat will take you straight to this table. 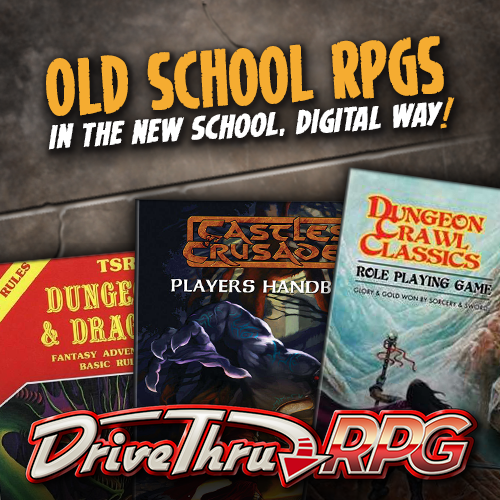 Do this as soon as you are given the link so that your GM can complete the setup for your game and you can get to Shadowrunning as soon as possible!